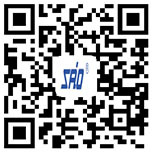 Company Profile_Ningbo Sail Hydraulic Transmission Co., Ltd.
Ningbo Sail Hydraulic Transmission Co.,LTD, founded in 1982, headquartered in Ningbo, and the predecessor is a gear factory.Sail started to produce planetary reducer in 1993, until now, we have been involved in this area for 20 years, accumulated rich experience. Now, we are one of the world-branded reducer manufacturers and also a professional productor of planetary gearbox in the world. Our products can totally replace the originally imported Bosch Rexroth, O&K, Brevini, Bonfiglioli, RR and Fairfield in terms of external installing dimensions and performance parameter. The planetary reducer made in Sail, accreditated by Technical Supervision Institutions and approved by ISO9001 Quality Management System Certification. Based on excellent performance our products win well-deserving reputation, widely applied to various construction machinery (such as rotating drills, cranes, flat bed trailer, elevating transporter, pile driver and continuous wall grab etc. ), Wind Power Equipment(Transportation facility, lifting equipment, Yawing and variable pitch), Coal Mine Machine(Excavator), metallurgy, Marine, Railway, Oil industry, Light Industry, Military Industry, Geological Exploration, Agricultural Industry, Environment Industry, Horticulture industry and so on, exported globally. Our planetary gearbox and hydraulic motor- brand Sail, have get though all the harsh environment in the last twenty years, including extremely cold area of northeast China and Siberia of Russia with high latitude minus 50 degrees Celsius, in northwest China Taklamakan Desert with 60 degrees Celsius hot dry windy and dusty weather, and in southwest China with high humidity and temperature. Ningbo Sail Hydraulic Transmission Co.,LTD, near Beilun Port with a convenient transportation around, gradually expanded since established in 1982, currently there are 258 workers including 62 engineers. In our new plan, the new factory would occupying an area of 470, 000 square meters and total construction area covering 38, 000 square meters, including 9 plants for forging, thermal treatment, machining and assemblying. There is a rigorous quality assurance system to ensure the high quality of every pieces. Powerfully skilled technical team will satisfy your diversified demands, we promise to provide the technical support forever. Goal: Leading China Innovation,Sail make the country and people rich and strong. Philosophy: International product standard,reasonable price,Humanity-oriented in Sweeping service.